Shaw Gibbs announces the appointment of Clifford Brown as Director & Head of Corporate Finance. With over 15 years’ senior experience in the field as an advisor and in-house, Clifford’s work has included disposals, acquisitions, raising equity finance for growth companies, structuring MBO/MBI transactions and raising finance from £1m to £60m. His experience spans a wide range of business sectors, including UK manufacturing, marketing services, recruitment and business process outsourcing. Clifford Brown adds: “In addition to building new relationships with business owners and leaders, I am genuinely excited by the prospect of supporting our current base of clients with their strategic corporate finance aspirations. 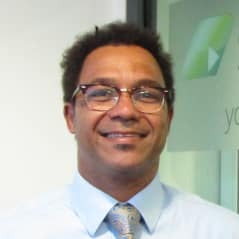 A Chartered Management Accountant with an MBA from Oxford’s Said Business School, Clifford Brown joins Shaw Gibbs from a boutique corporate finance house. He recently handled the sale of high end health club business Clarice House Group to Bannatynes Fitness Limited, the sale of Octavian Securities Limited to CE Facilities Services Limited and the investment and MBO of Cursor Controls by Maven Capital Partners. Prior roles include Financial Controller and Head of Financial Planning & Analysis at Harley-Davidson Europe and senior finance positions at Thomson Reuters, where he worked on the joint venture between Reuters Group PLC and Dow Jones that resulted in the formation of Factiva, a leading provider of business-critical information. Clifford Brown takes over Shaw Gibbs’ Corporate Finance Division from Peter O’Connell, who is now the firm’s Managing Director. Contact Clifford Brown at clifford.brown@shawgibbs.com.